Globally there is a deficit of church planting efforts among the poor and needy. There is a significant amount of humanitarian work among the global poor, but the vision for church planting is not always present. When there is a vision for church planting, it is typically a house church movement, which has been effective but does not meet every need. What about a church-planting movement among the global poor seeking to plant missional churches that will minister in a comprehensive way? Where the local body of Christ is discipled through preaching and teaching ministries, as well as in home Bible studies. Where they love one another and the community in a spiritual, physical, and relational way. An interdependent movement where Westerners and nationals join with the residents of a given needy community and assist them in establishing a church, but most importantly, teaching them to be the church. Ministries such as feeding the hungry, caring for the sick, assisting widows and orphans would be done by the local body through these church plants. Development work like computer and language classes, as well as providing school supplies, would be done via the local body of Christ in partnership with other national churches and Westerners; everyone bringing what they have to the table in order to see the kingdom of God expand among the global poor. This is exactly what Living Bread Ministries (LBM) is doing. 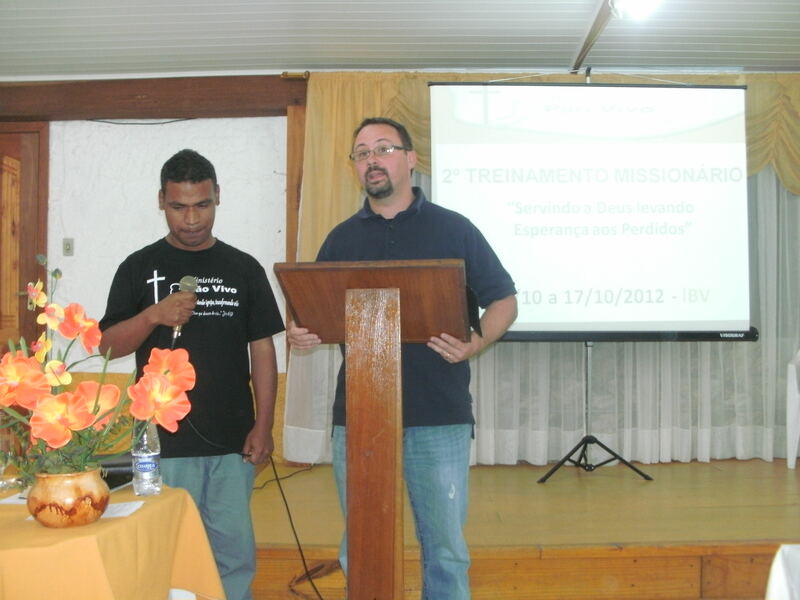 We have established a Brazilian led church-planting ministry focused on planting missional churches among the poor and needy throughout Latin America and the world. 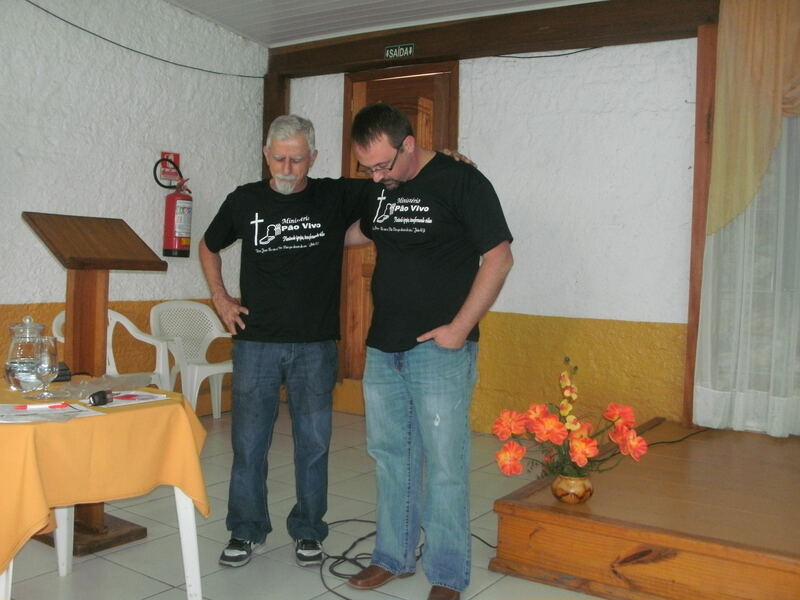 In partnership with this organization LBM has planted eight churches among the urban poor in Brazil and we continue to expand. Living Bread is a relatively young ministry (founded in 2004 by Patrick and Bárbara Hubbard) but our approach is proving to be very effective. There are difficulties to be sure, but we believe interdependence is the key to working among the global poor. It is through interdependence that the global church best functions as the unified body of Christ and it is through interdependence that everyone’s contribution is valued equally. This is empowering to the poor and needy and humbling to the rich and powerful. To connect with Living Bread check us out on Twitter and Facebook. I am a native of central Virginia where I met Bárbara; who had come to my high school from Brazil as an exchange student. 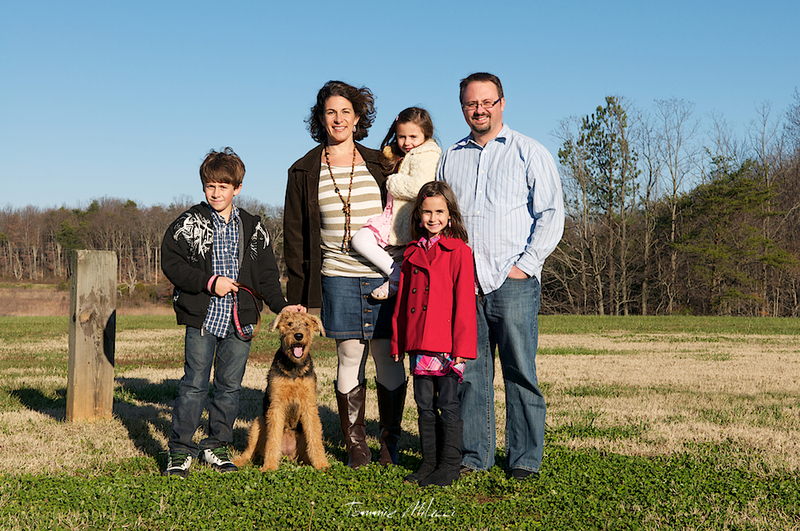 We were married shortly after graduation and now have three children Patrick (11), Tabitha (8), and Olívia (5). In 2012 we celebrated 20 years of marriage. Prior to receiving Christ I worked in the hospitality industry managing multiple national franchise hotels and eventually became a Regional Manager overseeing as many as nine hotels. I have a BS in Religious Studies from Liberty University and am currently pursuing an MA in Global Studies from Liberty Baptist Theological Seminary. Narelle: Mary Hawkins is one of my all time favourite Aussie inspirational romance authors. I read Mary’s Great Southland historical romances many years ago and it’s exciting to see Barbour is re-releasing this series under the ‘Truly Yours’ digital imprint. 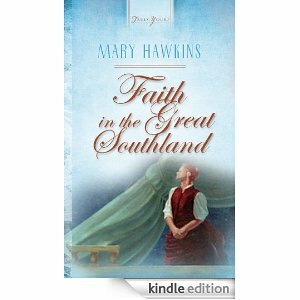 Faith in the Great Southland is Book One in the series. The Kindle version that is releasing on Friday (February 1) is available for pre-order at Amazon. Hopefully the other books in the series will be available soon: Hope in the Great Southland, Love in the Great Southland and Great Southland Gold. Narelle: Congo Dawn is another brilliant international intrigue thriller, this time set in Africa, by award winning author Jeanette Windle. I loved reading Veiled Freedom and Freedom’s Stand, set in Afghanistan, and Congo Dawn lived up to my expectations. God is love. Crazy, relentless, all-powerful love. Have you ever wondered if we’re missing it? It’s crazy, if you think about it. The God of the universe–the Creator of nitrogen and pine needles, galaxies and E-minor–loves us with a radical, unconditional, self-sacrificing love. And what is our typical response? We go to church, sing songs, and try not to cuss. Whether you’ve verbalized it yet or not…we all know somethings wrong. Does something deep inside your heart long to break free from the status quo? Are you hungry for an authentic faith that addresses the problems of our world with tangible, even radical, solutions? God is calling you to a passionate love relationship with Himself. Because the answer to religious complacency isn’t working harder at a list of do’s and don’ts–it’s falling in love with God. And once you encounter His love, as Francis Chan describes it, you will never be the same. Because when you’re wildly in love with someone, it changes everything. 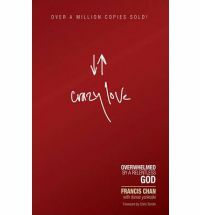 Narelle: Crazy Love is a challenging read for all Christians. Francis explores what it really means to be a lukewarm Christian and how easy it can be to fall into a lukewarm relationship with God. He provides Biblical references to show why a lukewarm relationship with God is not the type of relationship God desires for us. The book defines what it really means to be passionately in love with God and how this powerful love relationship and intimacy with God will impact all areas of our lives. Francis provides examples of people who have a passionate and all consuming love for God. The book challenges us to take an honest look at our heart and our priorities, including how we spend our time and money. Do we give God our best or do we give Him the leftovers? I highly recommend this book to those looking to deepen their relationship with God and learn how their lives can be transformed by falling passionately in love with God. 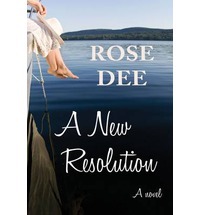 Resolution Island is a safe haven for Anika Deumer. A chance to fulfill dreams, find her place in the world, and a new life for her and young son, Kye. But her dreams of a future are shattered when her son’s security is challenged, and the rich and privileged Texan, Nate, sails into the bay. Now Ani must not only fight for her son, but also a growing attraction she has to the one type of man she loathes. Nate Hollingsworth is on a mission. He needs to fulfill his mother’s last wish and change his life. Dropping anchor in the idyllic Resolution harbour, he didn’t anticipate becoming involved in illegal fishing, a murder or an unexpected attraction to the most exasperating woman he has ever met. The Australian tropical Island, Resolution, sets the scene again for adventures, dreams and new beginnings. A New Resolution is the final book in the Resolution trilogy, following Back to Resolution and Beyond Resolution. Narelle: I enjoyed reading this book. Anika (Ani) is a fascinating character with an indigenous islander heritage. She lacked parental guidance as a youngster and was rescued by distant relatives, Aunty and Uncle. Starved for love, Ani made a decision that changed the direction of her life. It’s that time of year again when we think about what we would like to achieve or do differently in the new year. Some people don’t make new year resolutions because they can be hard to keep or maintain. I prefer to set goals that are both quantifiable and achievable. Each year, at the beginning of January, I set writing goals for the coming year. This year I haven’t made any definite goals because I’m waiting to hear the details of a fiction book contract that could determine the way I set up my 2013 writing schedule. In 2012 one of my goals was to set up this blog and start eBook publishing leaders guides to complement the free Bible study questions available on our website. The blog was launched in May and we have published five leaders guides in our ‘People of the Old Testament’ series. I am hoping to start publishing our ‘Gospel of Mark’ leaders guides during 2013, although this will depend on how much time I have available around my fiction writing commitments. Do you make new year resolutions? Have you made any this year that you have successfully met or failed to keep? Or, do you prefer setting goals? My prayer for you is that 2013 will bring you many blessings and opportunities to grow in your faith as you do all things for His glory.